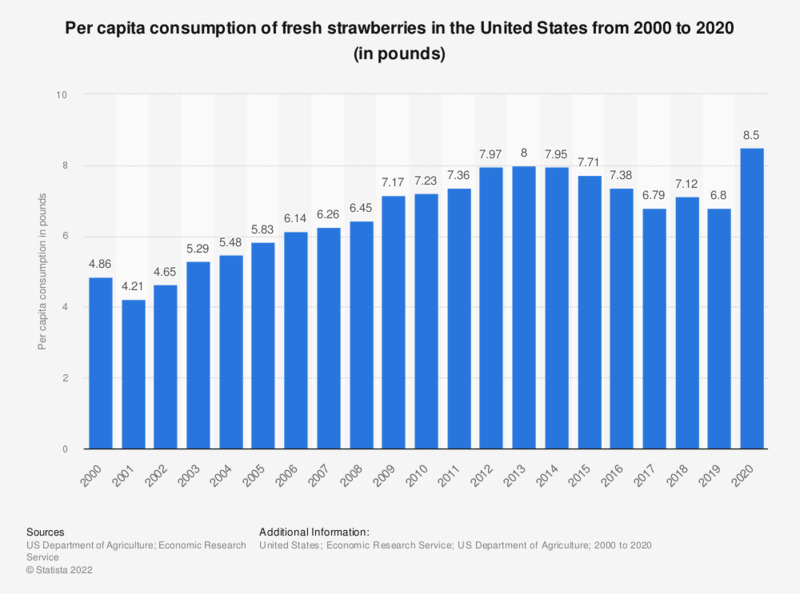 This statistic depicts the per capita consumption of fresh strawberries in the United States from 2000 to 2017. In 2015, the U.S. consumption of fresh strawberries amounted to about 7.72 pounds per capita. In the same year, the consumption of fresh fruit in the U.S. amounted to about 135.38 pounds. Data are conducted on a calendar-year basis. Computed from rounded data.